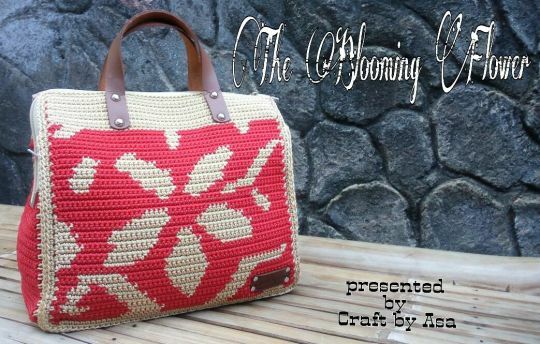 the Blooming Flower handbags is the tapestry crochet with new models. i use a nylon thread for the material. lining by japanese cotton fabric. only using a single crochet.